Two outstanding lots in Nichols Commercial Park. Lot 1 is 6.3+/- ac. and is priced at ($3.50/sqft) $965,000.00. This property is zoned Heavy Industrial. Surrounded by assisted living facility and commercial office park. 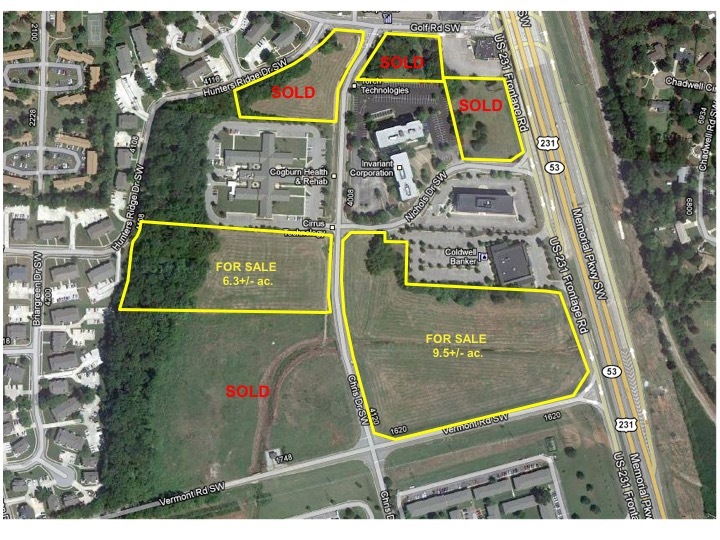 Lot 2 is on the NWC of Memorial Parkway service road and Vermont Road. This 9.5+/- ac. tract offers outstanding visibility. This tract is zoned Heavy Industrial. This tract is priced at ($6.95.sqft) $2,875,000.